Redwood Heating and Air LLC is a locally owned and operated business. We are conveniently located in the Metro Atlanta, servicing all of east metro Atlanta. Our founder Joel started doing heating and air when he was only in high school, he then gained a diploma in HVAC while working for Georgia Trane heating and air. He worked for larger companies for over 15 years, but decided that he wanted to branch out on his own. With the help of family and friends, Redwood has since become a fast growing competitive business. 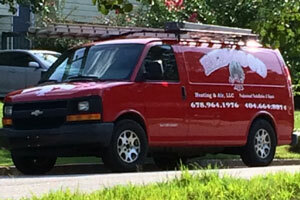 Redwood staff of technicians are highly trained, insured, licensed by the state of Ga, DET certified and EPA qualified. We have been gaining hands on, continual education, and keeping up with the ever changing world of HVAC technology. With the proper training in HVAC, Redwood is always able to find a solution to your every need. For over 7 years, we have helped customers decide what is best for their needs, offer fair pricing, 100% Satifaction, and give the best quality service.